With more and more devices in your home being controlled and monitored by smartphone apps the battery drain increases. 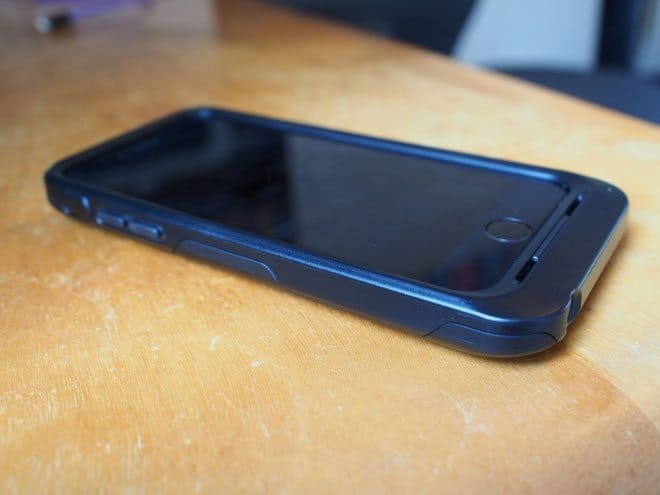 No need to worry about this with a battery-powered case and one of the best available is the Resurgence from Otterbox. The best thing about the Resurgence is that you’ll hardly believe it’s a battery pack in a case. The weight and thickness are not much more than their outstanding slim Symmetry cases, but the on-demand battery backup power is a game changer for those that need it. Carrying a charging cord and finding an outlet is a reality for those of us who keep our smartphones with us 24-7. But you can cut the cord with this case. It also alleviates the need for carrying an awkward external battery pack which is really lame. The 2,600 m-AH battery will double your iPhone 6 battery life and will stop charging once the battery is full which saves it for more charging later. The LED on the back of the case is like a fuel gauge, letting you know where you stand on a charge. Beyond the battery, the case is still offers military-rated protection and will protect your smartphone all day and night.